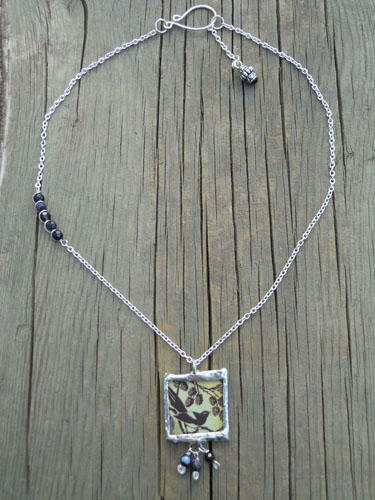 Handmade soldered necklace pendant with an image of birds and branches in black and green. Necklace is complimented small wire wrapped agate beads. Pendant hangs on a small sterling silver chain with a handmade silver closure. Necklace is adjustable between 17 and 18 inches.